“I'm sorry to say this... but, just because a person is a judge, why do you have to deprive him of his constitutional rights... If you ask me, leaking the affidavit against Ganguly to the media was unethical." "So, why should it be splashed across the front pages of newspapers... Obviously, it was intended for something else,"
"If the complain(t) is against a sitting judge, then the complain(t) should be made to the Chief Justice. Why do you leak it to the media? Is it because you don't trust the CJI? And, if the person is a retired judge, then the Supreme Court has no jurisdiction over him...here the person is like any other ordinary citizen." "I'm not holding a brief...If you want to cross-examine him (the judge who has been accused), do it on the floor of the court. Why start talking about it in high decibel TV interviews?... If a lady is bold enough to go and talk to the media, why shouldn't she file an FIR? Police will investigate. “There is a procedure by which investigation has to be done, procedure by which accused has to be tried." "Just like a pickpocket or a robber, a judge too has constitutional rights. We give a full trial to a robber..."
"So, you make an accusation against me and I have to prove that I'm innocent... Frankly, legislation of this kind would mess up the whole issue... what is needed is increasing the level of perception and education. Today, the way women are looked at is very different from what it was 50 years ago and that did not come by way of any fancy legislations. It evolved over a period of time," He told ET. Meanwhile Supreme Court today refused to entertain a petition filed by Advocate M.L.Sharma seeking action against the NUJS law intern who made the allegations against Justice A.K.Ganguly and the media which reported her allegations. Outlook reports “ the advocate claimed that the entire conspiracy was being promoted by a foreign agency and the woman law officer, who has been spearheading the campaign and making loud noise on the issues of sexual harassment by former judges, was being funded by an American NGO”. 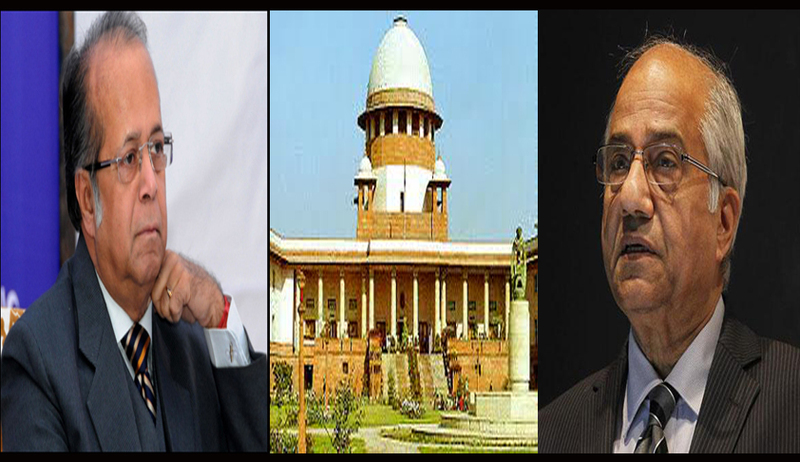 Rejecting the petition a bench consisted of Chief Justice P Sathasivam and Justice Ranjan Gogoi said "We are not inclined to hear the petition," "We heard you fully and if you have any other remedy under the law you can avail it,".